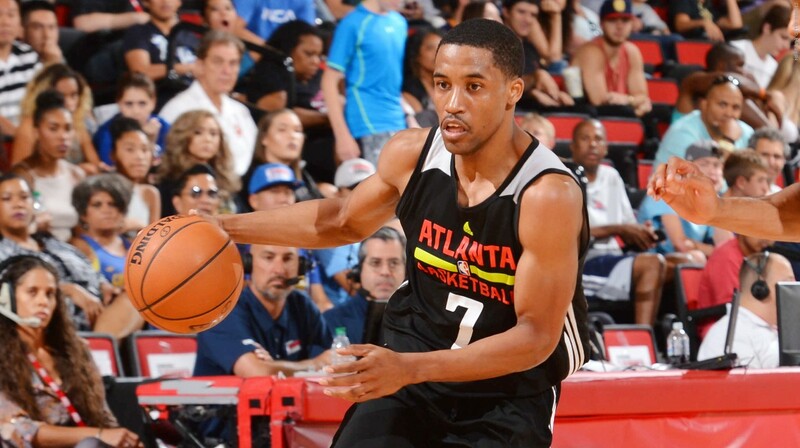 Bryce Cotton will once again be playing for the Atlanta Hawks in this summer’s NBA Las Vegas Summer League. Former NBA player Bryce Cotton (who spent last season in Australia) will play Summer League with the Atlanta Hawks, according to sources. Cotton was invited and played on the Hawks summer league team last year and after a pretty good run, averaging 12.8 ppg for the team, Cotton decided to play overseas instead of perhaps garnering a contract offer from Atlanta. Cotton dominated in Australia once he got there, leading the Perth Wildcats to the Championship and winning MVP honors for the team. Over the last two seasons, Cotton has played with three different NBA teams, just trying to get a foot in the door. He has shown flashes of being able to handle the load of a backup point guard, it seems to be more a question of opportunity. I can foresee Cotton as a Patty Mills-type of player with a slightly higher scoring ceiling. It also looks like he’s got athleticism out to wazoo. Schroder is the starter, so he’s there to stay…and he’s good too. Malcolm Delaney, who got his first run in the league last year at 28 years old, averaging 5.4 points and 2.6 assists per game (7.56 PER). Jose Calderon who really should not be still playing in the NBA. At 35 years old, he averaged 3.4 points, 2.1 assists, and PER of 8.94 last year. Cotton is better than both Delaney and Calderon RIGHT NOW. Depending on what the Hawks do in the draft, Cotton has a real chance to make the team after the summer league. He should also be familiar with Atlanta’s systems and styles having played with their summer league team last year. First game for the Atlanta Hawks is Friday July 7th at 5 P.M. vs. Brooklyn.